You’ll create your money rules, discover how to evaluate deals and opportunities, as well as structure yourself to keep more of the money you make both in your business and investments. Step 1 – Improve Your Conditioning: If you want to tap into a Wealth Technology that makes you more financially intelligent and literate, you’ll be glad to know that it is well within your reach. Step 2 – Identify Your Financial Baseline: Your financial baseline is a reflection of your past financial awareness. Whatever conditioning has brought you to this very moment in your life – financially – has created your financial results. Step 3 – Clarify Your Financial Freedom Day: The most informed decisions can only occur when you understand the gap; otherwise you may be making emotional short term decisions. The gap exists between where you are now (your financial baseline) and where you want to go (your financial freedom day). Step 4 – Manage Your Lifestyle Cycle: Using income to create assets is called a “wealth cycle,” which is defined in the next lesson. 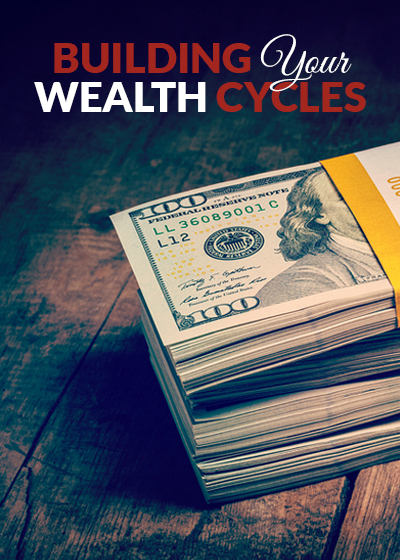 Step 5 – Build A Wealth Cycle Foundation: Begin putting together what you’ve learned to build your Wealth Cycle with a strong foundation. Step 6 – Learn The Steps To Wealth Acceleration: Revealing the “secrets to success” that the truly wealthy use to stay on top. This section is a step-by-step tactical actionable plan to Building your Wealth Cycles and accelerate them.